There is a built-in timer to calculate lamp usage and let you know when it’s time to replace the BenQ MP610 projector lamp. When the Lamp Indicator lights up red or the Lamp Message appears on screen, it’s time to install a new BenQ MP610 projector lamp. Warning messages on screen also give ample warning of when to install a new lamp. NOTE: When the BenQ MP610 projector becomes too hot, both the Lamp indicator light and Temperature warning light will light up. Turn the projector off, letting it cool for 45 minutes. If the Lamp indicator still lights after turning the projector back on, then it’s time for a new lamp. Message 1: The BenQ MP610 projector lamp has been in operation for 2800 hours. Install a new lamp for optimal performance. If the projector is normally run with “Economic Mode” the lamps is good until the 2950 hour lamp warning appears. 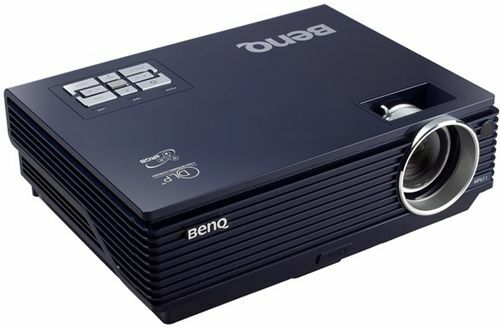 Message 2: The BenQ MP610 projector lamp has been in operation for 2950 hour. A new lamp should be fitted to avoid the inconvenience when the projector runs out of lamp time. Message 3: The BenQ MP610 projectorlamp has been in operation for over 3000 hours. This message will flash in the center of the screen for about 30 seconds together with the Lamp indicator lighting up red for 40 seconds. Message 4: The projector will shutdown in 40 seconds. 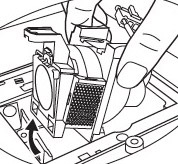 The BenQ MP610 projector lamp MUST be replaced before the projector will operate normally. Always invest in a genuine BenQ MP610 projector lamp in order to keep your BenQ MP610 projector working. You will need an original BenQ 5J.J1S01.001 lamp. Your original manufactur er (OEM) has created these lamps to fit your BenQ MP610 projector and keep the sophisticated components working properly. While generic lamps may be sold at discount prices, their inferior workmanship and cheap materials often result in damage to the interior of projectors. They are also prone to explosions which can release toxic heavy metals into the air as well as damage your projector beyond repair. Read more about the 7 Ways to Spot a Counterfeit Lamp. 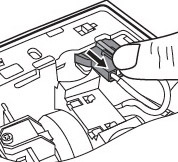 NOTE: Disconnect the power cord before changing the lamp and allow the BenQ MP610 projector to cool for at least 45 minutes. 3. Disconnect the BenQ 5J.J1S01.001 lamp connector from the projector. 5. 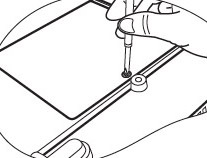 Gently pull the BenQ 5J.J1S01.001 lamp from the projector. 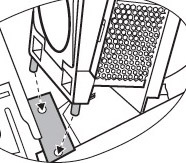 Pulling too quickly or with too much force can cause the bulb to break, scattering broken glass into the projector. Avoid touching any of the optical components as this can cause uneven color and image distortion. 6. Holding the BenQ 5J.J1S01.001 new lamp, align the two male locators on the lamp with the female holes in the lamp cage. Gently pull the lamp all the way in the projector making sure it clicks into place. Be sure to dispose of the used Ben Q5J.J1S01.001 lamp through a local recycling program. Don’t throw this lamp into regular garbage as it contains mercury. 9. Replace lamp cover and tighten the screw. NOTE: Do not reset the Lamp Counter if the lamp has not replaced as this could cause damage. 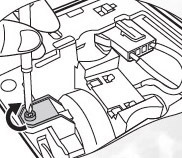 Reset the Lamp Counter only when a new lamp has been installed in order to have an accurate reading of the lamp life. 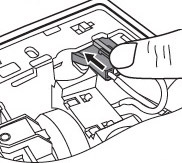 Press and hold the Exit 5 button on the BenQ MP610 projector for 5 seconds to display the total used lamp time. 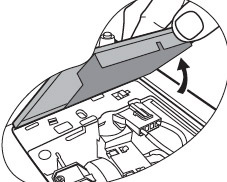 Learn more tips for extending the projector lamp life in your BenQ MP610 projector.